The Battleships ESL Game is an adaptation of the original game. It can be used in a variety of ways in a language classroom. It gets students to think strategically while also having fun practicing their English skills in teams. 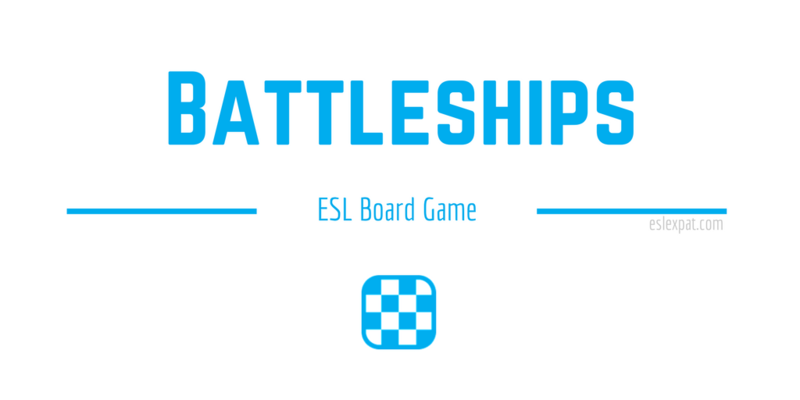 To play the Battleships ESL Game, first, you need to prepare the “boards” that each team will use to draw their ships on. What works best is if you create a simple grid by making a table with rows and columns in a Word doc. Usually, a 10-by-10 grid suites most classes. However, it depends on how challenging you want the game to be and how much time you have. After preparing the grid, you can print out a couple copies or however many you need in the class. Most games will involve only two opponents. Therefore, two grid handouts should be fine in most situations. At the beginning of the class, explain the rules of the Battleships game. The aim of the game is to destroy all of the opponent team’s ships that they have drawn on their grids. Remember, neither team can see where the opposing team has placed their ships specifically. They must figure out where they have them placed through strategy and trial and error. Hand out the paper grids that you printed out to each team. Tell them to align their ships on any place on the grid. There are three ships per team: a battleship, submarine, and destroyer. Each ship has a specific number of grid spaces assigned to it. A battleship takes up 4 spaces, a sub 3, and the destroyer takes up only 2 spaces. In some versions of the game, there are also aircraft carriers that take up 5 spaces and maybe a patrol or fishing boat that only take up 1 single space. Inform them of the “munitions” or the number of shots that each boat can take. The rules may vary for each game and you can customize it how you like. Typically, the bigger boats can shoot more for each round (three to five shots), while the smaller boats can only shoot once or twice per round. Once they have understood the rules of alignment and have placed all of their ships on the grid, you can begin playing the Battleships ESL game. Draw two enlarged versions of the each grid on the board for each team. All of the spaces should be blank. Label one grid “Team 1’s Sea” and the other grid “Team 2’s Sea” on the board. For both grids, the columns should be marked appropriately from 1 to 5 and the rows A to E.
Flip a coin or ask a skill-testing question to determine which team goes first. Here is where the “ESL” part of the game comes in. For the first team, ask them any question pertaining to your class lessons. It could be anything, such as explaining a particular grammar point, how to spell a word, how to structure an essay etc. The possibilities for questions are endless. If the team answers the question correctly, then they are allowed to “shoot” at the other team’s grid or “sea.” If they fail to answer the question correctly, then the other team can try answering it. Fundamentally, the team that answers the questions correctly gets to shoot and try to sink the opposing team’s ships. The traditional rules of the original Battleships game could be used or you could alter them to suit your needs. One of the most engaging versions of the game is to inform the students that the big ships (ie. the aircraft carriers or battleships) allow you to shoot 5 to 4 shots per round (or per correct answer). If one of the big ships is sunk, then the amount of shots per round decreases. For instance, say one team only has a patrol ship remaining on the board. If that is the case then they would only be able to shoot one shot per round. The team will progress and they will go back and forth for a while strategically sinking each other’s ships. The first team to sink all of the opposing teams’ ships wins the game. To conclude the Battheships ESL Game, review any questions that the teams had difficulties with. Award the winning team with some sort of prize for their effort. As an extension to the activity, students can do a writing task related to the topics used during the game. This can reinforce their skills and knowledge of the subject. If there is a bit of a time restraint, the students could play the Wheel of Fortune ESL Game or the 20 Questions ESL Game using related subjects that were covered.